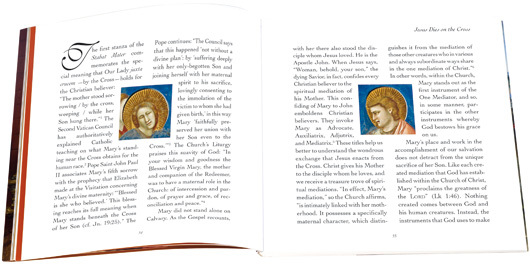 In this beautiful book of meditations, illustrated with full-color reproductions of Giotto's famous Scrovegni chapel Frescos (c.1305), discover the Seven Sorrows of the Blessed Virgin Mary, and contemplate with her how the mysteries of Christ's life answer the deepest questions of our lives. A deep contemplation of Christ's passion through the eyes of his Blessed Mother, and a profound and lively reflection on the Seven Sorrows of Mary, this book is an invaluable companion to pray and meditate with during Lent and a beautiful resource you will return to throughout the year. 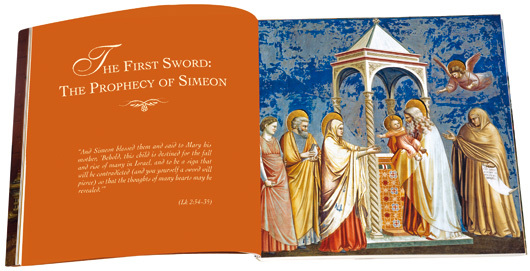 It is also an ideal gift for Catholics and for those who wish to understand the mystery of our own salvation and is well-suited for adult catechetical instruction and RCIA. Father Romanus Cessario, O.P., is a priest of the Dominican Province of Saint Joseph. He teaches theology at Saint John's Seminary, Brighton, Mass. Father Cessario also serves as Senior Editor of Magnificat.